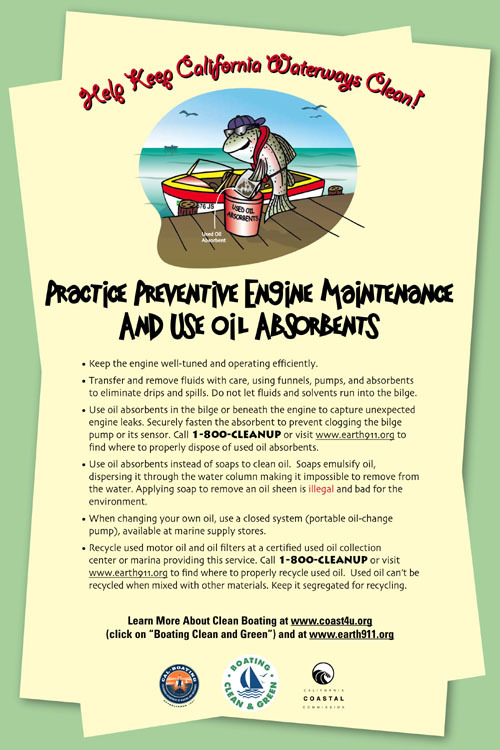 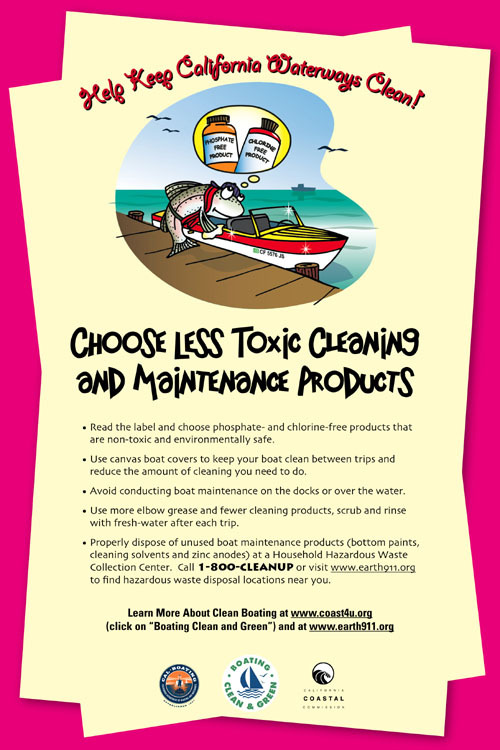 The California Division of Boating and Waterways and the California Coastal Commission’s Boating Clean & Green Campaign is distributing free Clean Boating Posters to marinas, yacht and sailing clubs, marine supply stores, fishing associations and boat launch ramps. 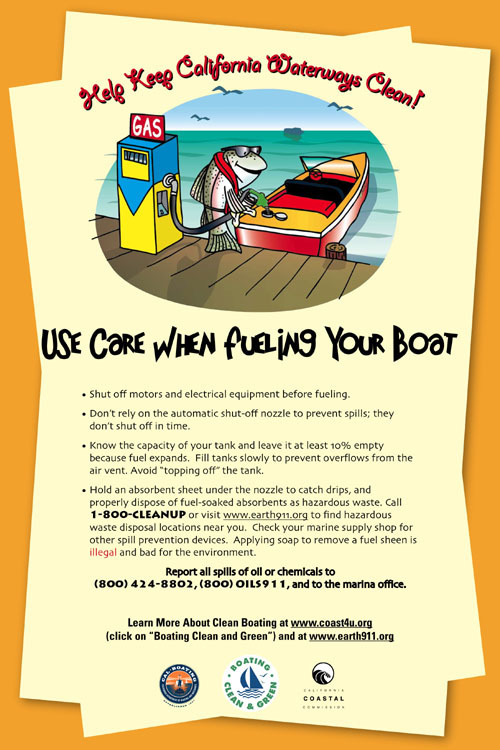 The posters showcase the NEW program mascot Reilly the Rainbow Trout and promote clean boating practices to ensure that safe and clean boating is part of the boaters’ experience enjoying California waterways. 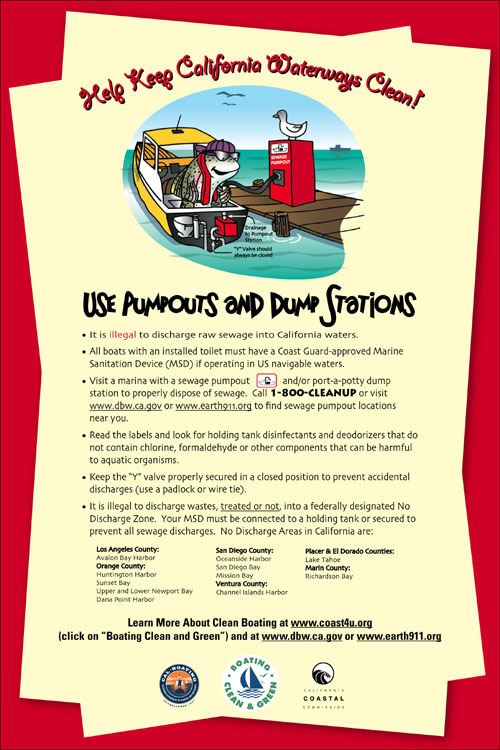 Your Boating Facility CAN Make A Difference! 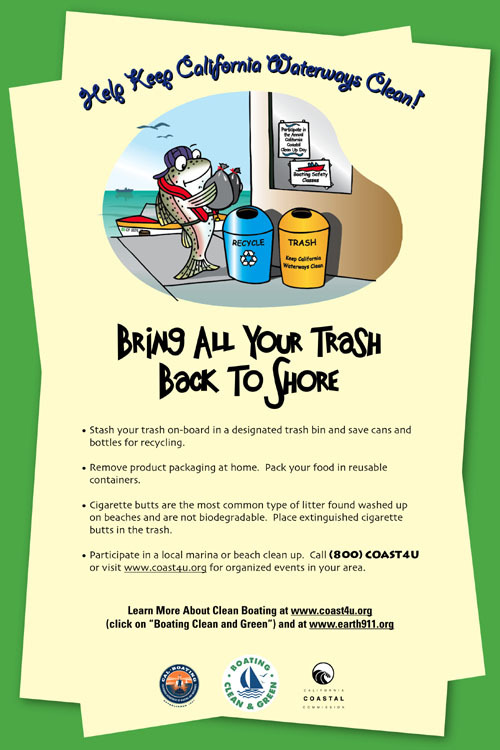 Maximum order per poster is two.